The sixteenth century story of a great Taino chief and one of the first indigenous victories against the Spanish is being turned into a six-part television series in Puerto Rico, Rick Kearns reports for Indian Country Today Media Network. On January 7th producers of “They Are Not Gods” announced the beginning of shooting the saga of the Battle of Yahueca and of the Taino Chief Agueybana, the Brave who led his people to victory. Puerto Rican filmmakers Vicente Castro and Jorge Luis Ramos asserted the historical importance of the project for Puerto Ricans, most of who have Taino heritage. “We are, for the first time, confronting one of the most difficult and passionate goals of our careers,” Castro said at a press event in Puerto Rico. “Although it deals with the first indigenous holocaust of America, we intend to create an indigenous epic that is almost like swimming against the current of globalization because, apparently it is not considered important—the fact that the Tainos were our ancestors and they inhabited the Caribbean archipelago long before the arrival of the Spaniards. “We need to know from where we come to recognize ourselves in the present and to continue into the future as who we really are despite the cultural extinction that globalization can bring,” Castro asserted. For Ramos, the understanding of Puerto Rican identity is connected to the strong presence of Taino genes in Puerto Rican DNA. 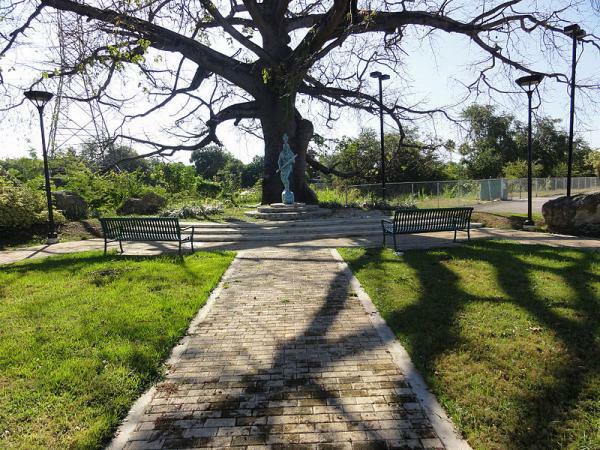 In Puerto Rico, there is a statue of Agueybana the Brave in the southern city of Ponce and for the internationally recognized Taino leader Roberto Mukaro Borrero, who lobbied for what has become Chief Agueybana the Brave Day on November 11, the producers are missing out on the opportunity of consulting with some of Agueybana’s descendants. Plans for the filming of the series include scenes to be shot at the Caguana Indigenous Ceremonial Center in Utuado and for the participation of more than 150 artists and extras.